THE gang who built a model of Grenfell Tower, set fire to it and posted an online video of themselves laughing and joking made the elementary mistake of including their faces in the film. This proves a point I have been trying to make for some time. The internet seriously discriminates against the gravely thick. HOWEVER, if you're one of those enlightened souls who chanted "Je Suis Charlie" in solidarity with Charlie Hebdo magazine after the office massacre of January 2015, you can hardly object to the "joke" Grenfell Tower video. It's all freedom of expression, innit? 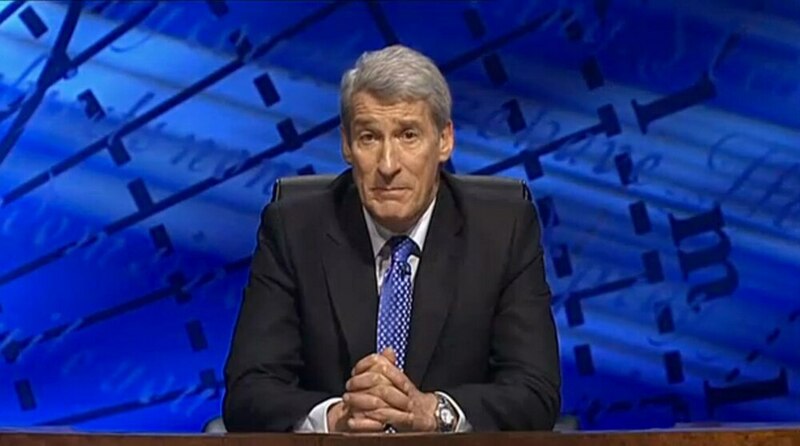 UNIVERSITY Challenge (BBC2) continues to dazzle and bewilder in equal measure. How can you not be impressed, for example, by the students' grasp of facts about the dawn of the Tang Dynasty? And yet those same students thought Truro was a city in Yorkshire. CHANNEL 4 arranged a survey of 20,000 Brits to see how they'd vote now on leaving the EU. It was hailed as the first major survey commissioned by a "non-partisan organisation" which made me laugh. NON-partisan? Hilarious. C4, recently described by the Guardian as "Britain's poshest broadcaster," has some great strengths but it is more middle-class, metropolitan and elitist than any other TV company. It is run and staffed by what is sometimes called the "turmeric latte brigade" and only nine per cent of its workforce comes from a working-class background. C4 News approaches any Brexit debate with a superior sneer. Leave-supporting politicians are regarded as dangerous or deluded traitors and Leave-voting citizens are treated with a certain contempt bordering on pity. Having set its own goal posts and chosen its own questions, C4 unsurprisingly delivered the verdict that the Leave vote has shrunk and a small but significant majority of Brits would now vote Remain. THE trouble with opinion polls is that they cannot tell us how many of those giving their opinion would actually turn out to vote. Common sense suggests that a survey of 20,000, with only a handful of people questioned in each town, is hard to compare to the Referendum which attracted 34 million votes. But the C4 poll can reasonably be compared with the opinion polls held before the 2016 Referendum. And they, as we all remember, predicted exactly the same - a small but significant majority for Remain (which is why the Leave vote came as such a shock). So the C4 poll may actually reveal that very little has changed. AND as Nigel Farage pointed out in the C4 programme, you'd expect some movement in the polls because, ever since they lost the Referendum, the Remainers have been campaigning like mad. The Leave campaign, assuming it had won, stopped campaigning after the Referendum. Big mistake. A READER writes: "Watching some TV commercials these days, it's not just that I don't understand the advert. Sometimes I'm not even sure what the product is. Tell me I'm not the only one." Over to you . . .